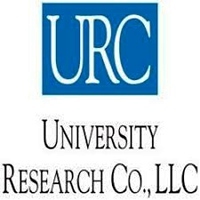 URC seeks qualified Director of Monitoring, Evaluation & Learning Advisor candidates to support the upcoming USAID-funded Tanzania Boresha Lisha Kwa Maisha Bora” project. Tanzania Boresha Lisha Kwa Maisha Bora,” which means “Improved Nutrition for Better Life,” aims to is to intensify and integrate nutrition support to targeted regions to improve the nutritional status of women of reproductive age, especially pregnant and lactating women, adolescents, and children under five. The project will achieve this through a) Strengthened multi-sectoral coordination for improved nutrition at the local government level; b) Improved health, nutrition, caregiving, and WASH behaviors; and c) Increased access and availability of diverse, safe, and nutritious foods. The Director of M, E & L will be responsible for spearheading the project’s collaborating, learning and adapting efforts including leading the development and management of the project’s results monitoring, evaluation, collaboration and learning in line with the Mission’s Country Development Cooperation Strategy. Master’s degree in business administration or related area of study or equivalent work experience along with specialized advance training in M&E. Fluency in written and spoken English; proficiency in Swahili a plus.